So the 26-hour flight from Australia finally touched down in Bologna. Phewww! 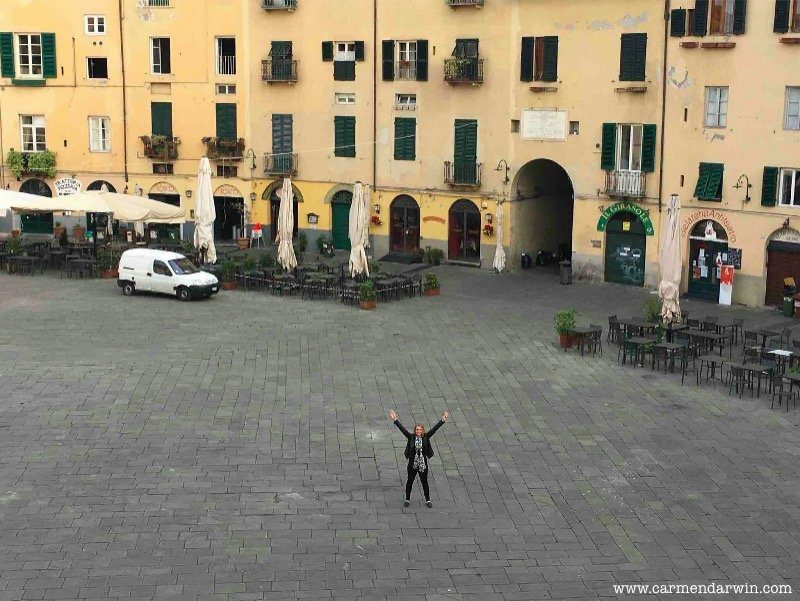 It’s a long way for the travelling Aussies and it never feels like it’s easy but wow it’s worth it because Italy certainly excites and delights me and gives me energy. 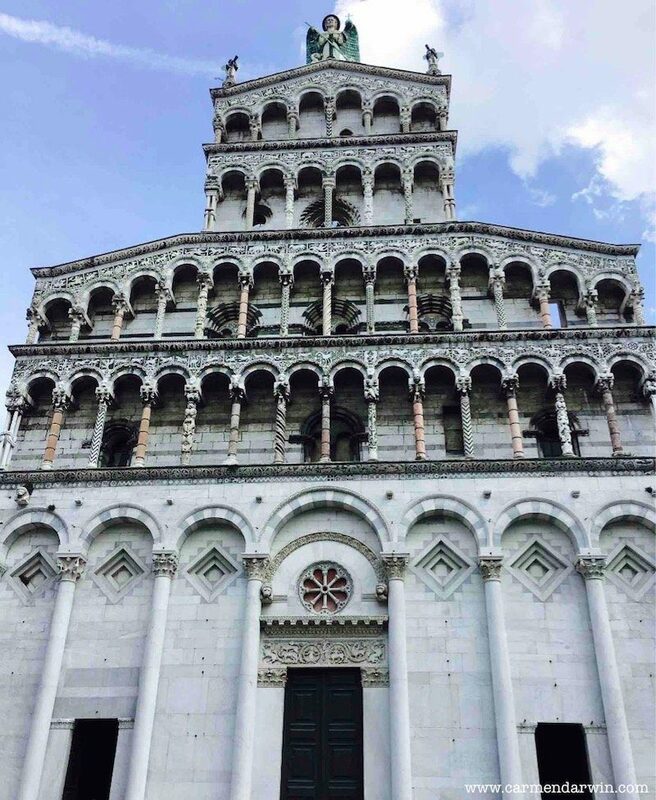 My tour doesn’t kick off for another 6 days so it’s time to explore the places that have stolen my heart for years and beautiful Lucca has always been on my bucket list. 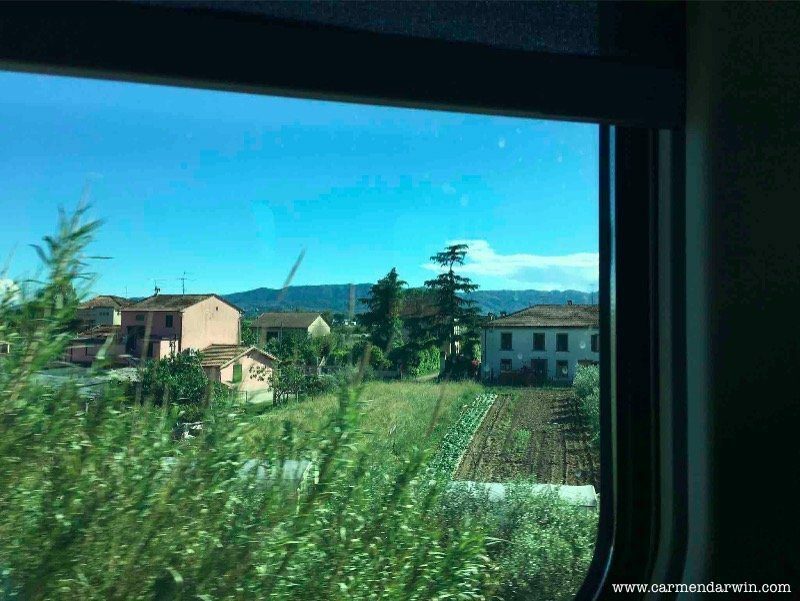 I’m travelling with Sharon, my friend and Design and Lifestyle Tour return member and we shuffle onto the shuttle bus to Bologna Central Station and then take the train from Florence and then on to glorious Lucca. We sit back and breath in the countryside and look at each other with tired eyes but a gleam of excitement in our gaze. Both of us have had Italy steal our hearts and it appears that there’s no letting up on the pull it has on our souls. We feel at home here like we are returning from another time and place in perhaps a past life. 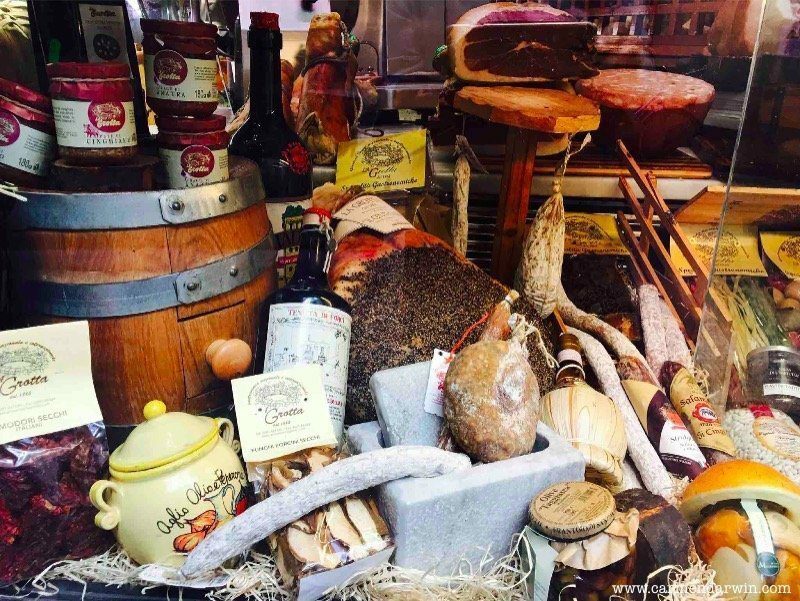 Who know’s what it is but we just find our happy place in Italy and are passionate about discovering and experiencing more. 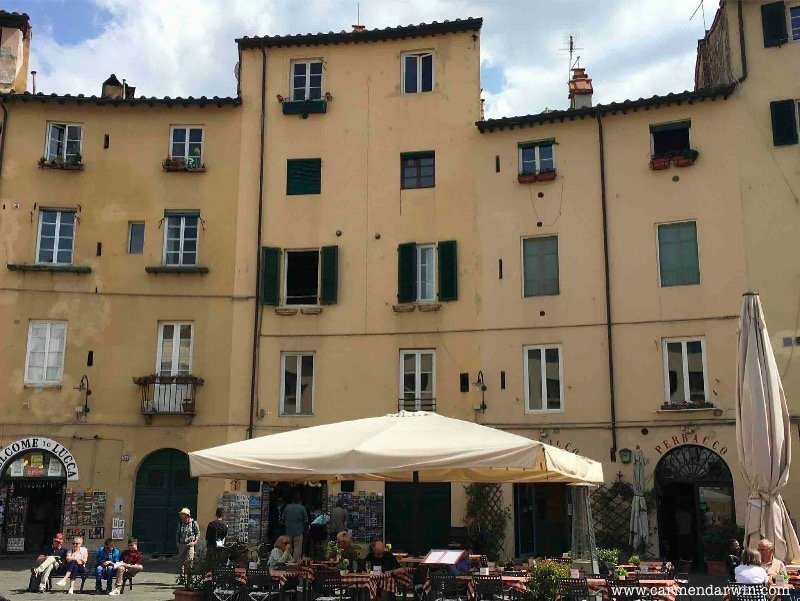 We book into the cute Anfiteatro Bed and Breakfast apartment in Lucca’s located in the old town centre of Lucca, in front of one of the beautiful, Anfiteatro Square. 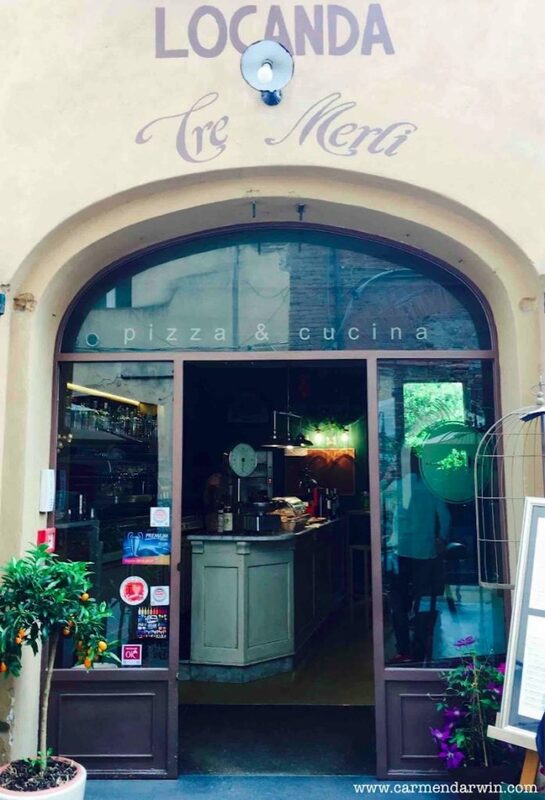 We fling our windows open and a squeal of excitement overcomes us as we gaze out to the ancient Roman amphitheatre and yell out “Hey Lucca, we’re here!” We feel part of an ancient museum as we take in the medieval city and feel part of the action instantly as the sounds and smells of Italian food waft up through our window. 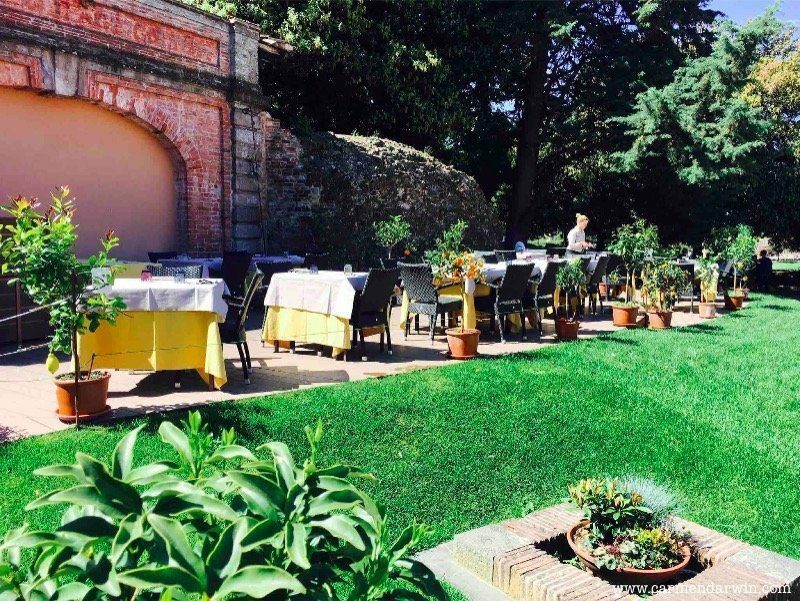 We chose this accommodation to for its perfect location within the city walls and old city centre and of course access to traditional Tuscan cuisine in the traditional restaurants. 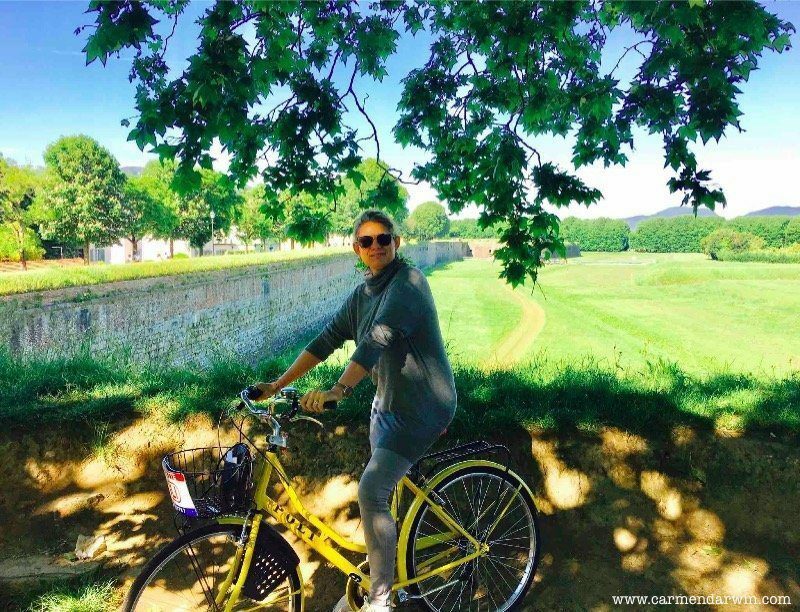 Exploring the ancient walls of Lucca was first on our agenda, so we head off in search of a bike to hire so that we can take to the city walls which were first under construction in the 11th Century. These beautifully preserved walls run for about 4 km’s and have become a leafy place to walk, ride and relax. The walls form an amazing ring around the city’s perimeter and riding along the top of them by bike was the perfect way to make the most of the experience. We had a delicious lunch on the walls before heading off on our walking tour to learn more about the ancient city. 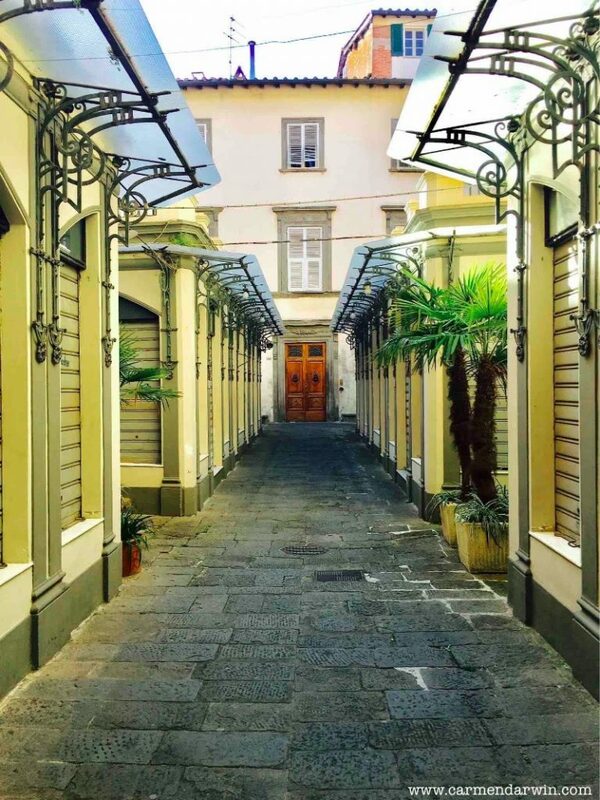 When you only have a short time in a place, a short walking tour is a great way to find and see more than you would on your own. 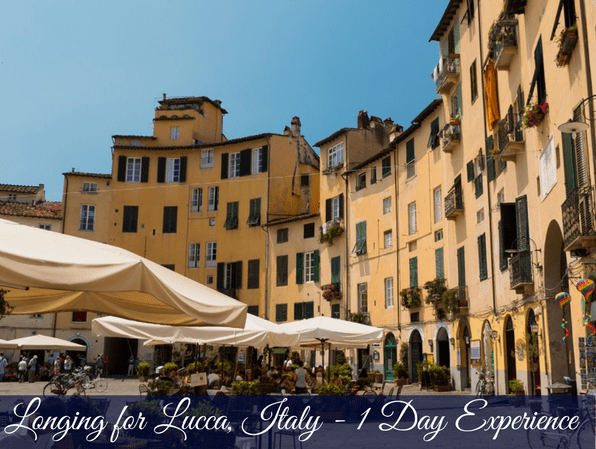 We did the Viator Walking Tour of Lucca which lasted about 2 hours and was really informative. We meet at Piazzale Verdi at the old Porta San Donato adjacent to the historic Renaissance walls. Walk along Via San Paolino which corresponds to the ancient Roman street (Decumanus Maximus) and past the Renaissance church dedicated to the patron saint of the town, Saint Paolino. 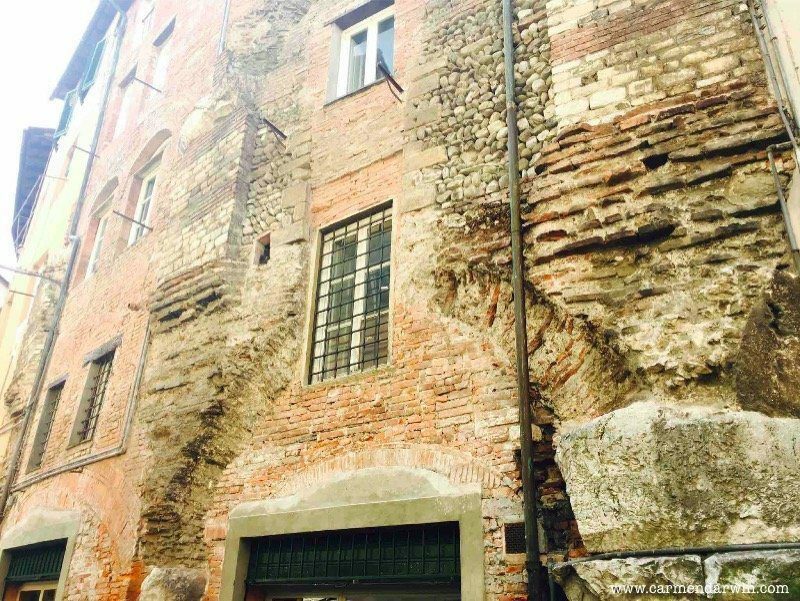 We see where Giacomo Puccini the man famous for his operas was born and the area where the ancient Roman forum was located. 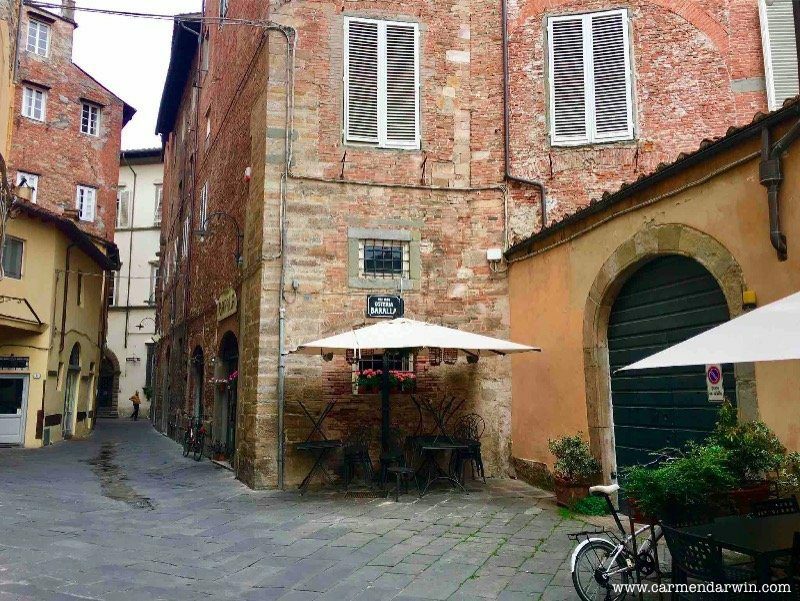 We reached Via Fillungo, the main and busiest shopping street of the town where both traditional shops and the two medieval towers are located. 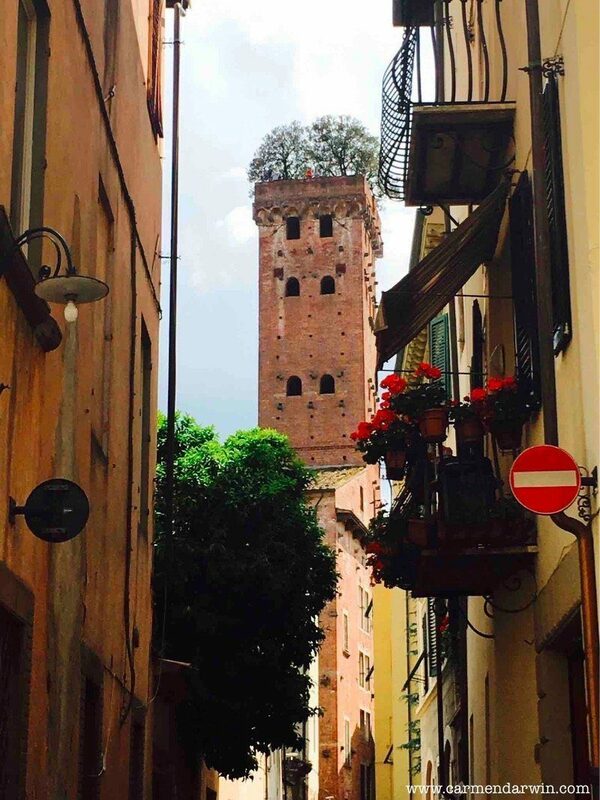 Torre delle Ore (the tower with the clock) and the very particular Torre Guinigi, which is crowned by seven holm oak trees are interesting and beautiful and we stop to admire the sights. 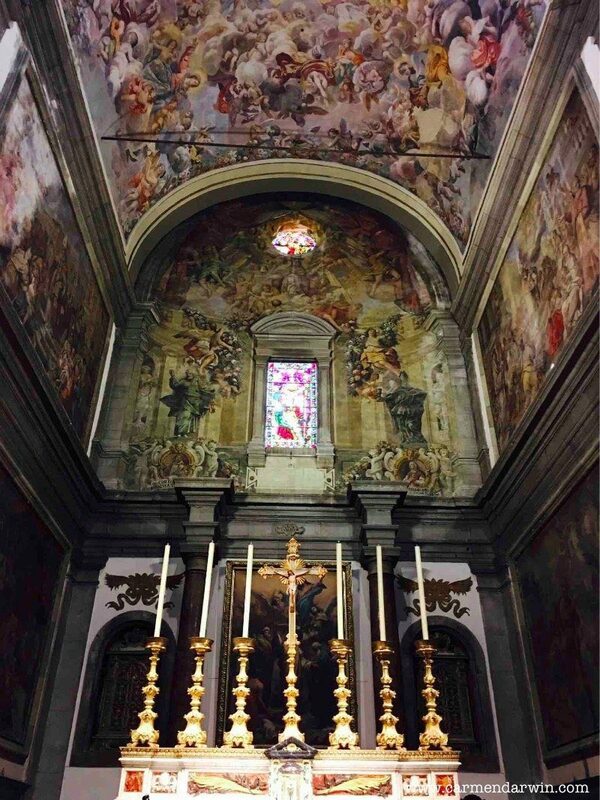 We visit San Frediano one of Lucca’s best-loved churches before heading back to our home turf at Piazza Anfiteatro, one of the most beautiful squares in Lucca. 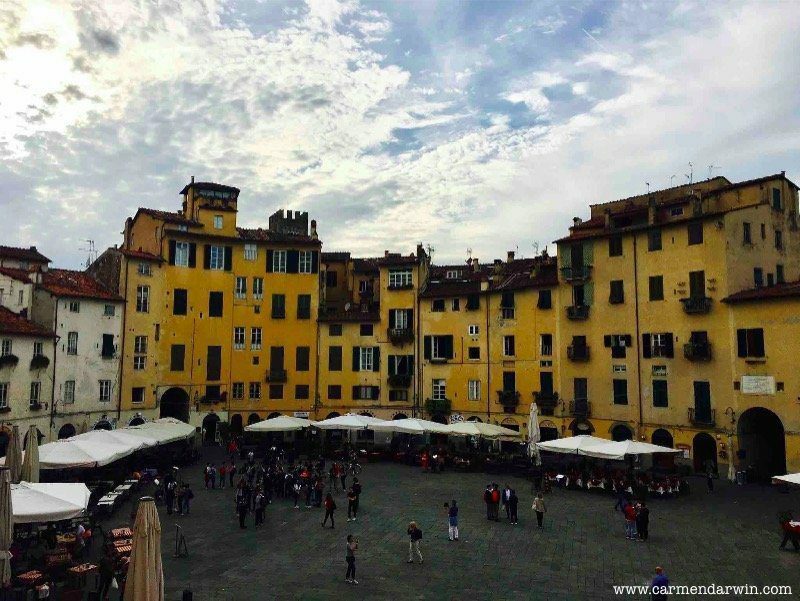 An ancient Roman amphitheatre is a delightful place to wander the square and to walk the Medieval streets surrounding it is to find the true heart of Lucca. 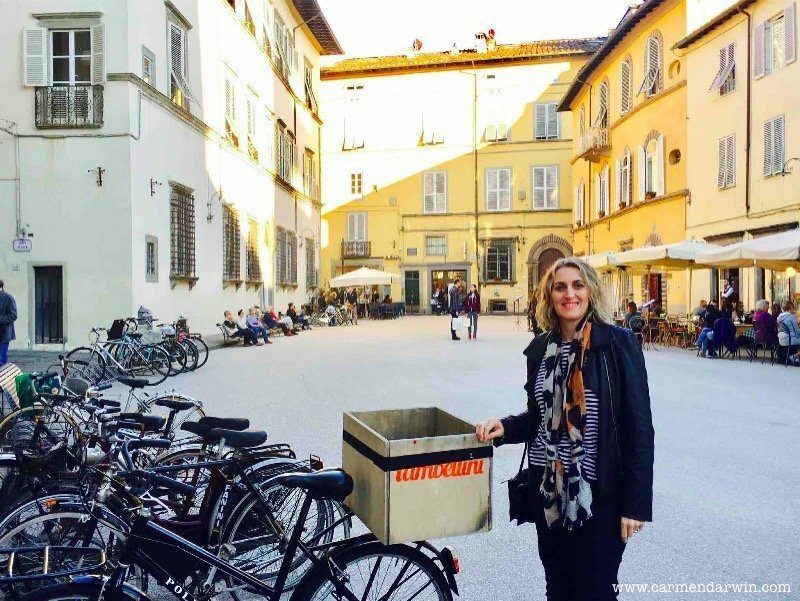 Personally, I loved the shopping in Lucca and there was a really relaxed and authentic vibe in the main shopping areas. 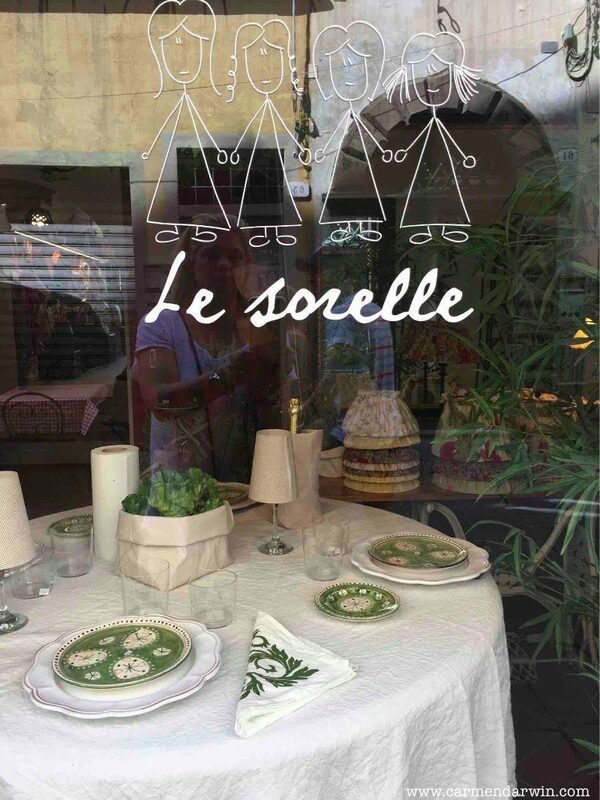 There are few chain stores and many cute bespoke stores selling lovely clothes, jewellery and shoes. 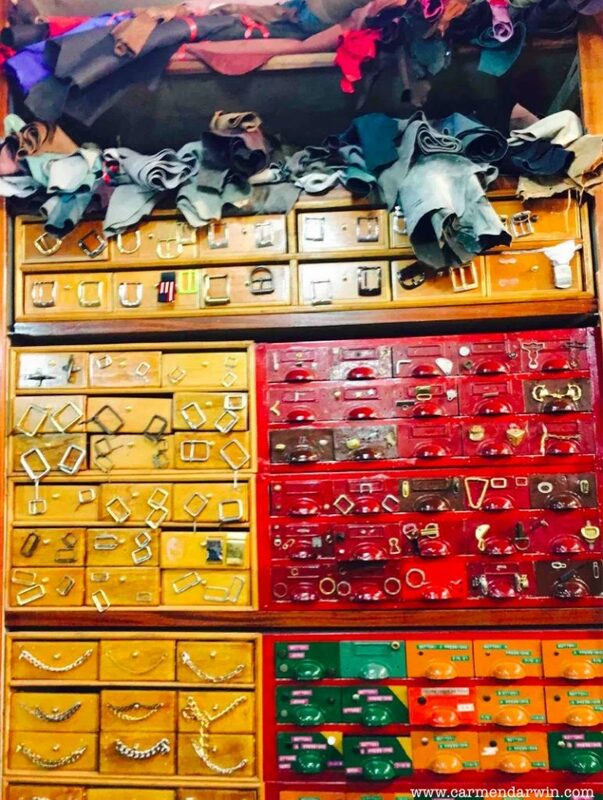 Many of the stores are also very old including this leather shop shown below with drawer upon drawer of buckles and chain accessories. This was such a treat to be in this store. 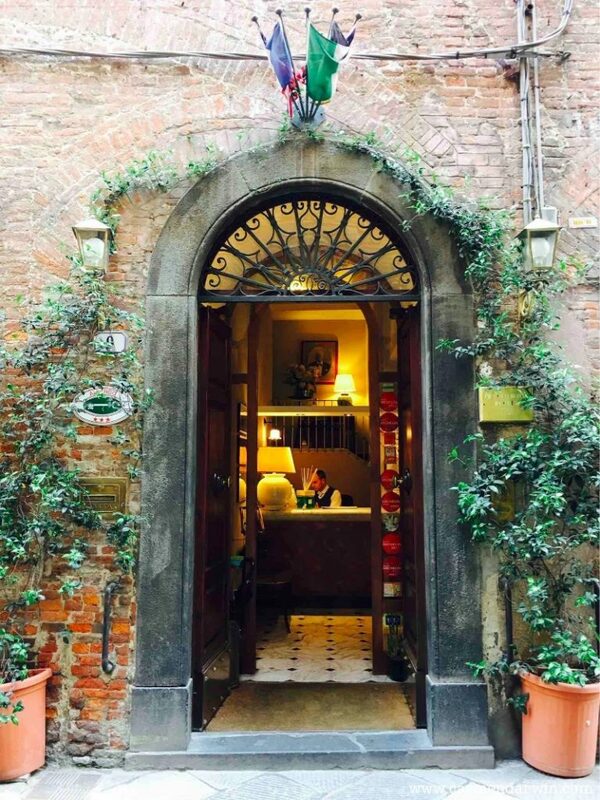 We spend the afternoon soaking up the food and atmosphere and enjoying a few other sights. 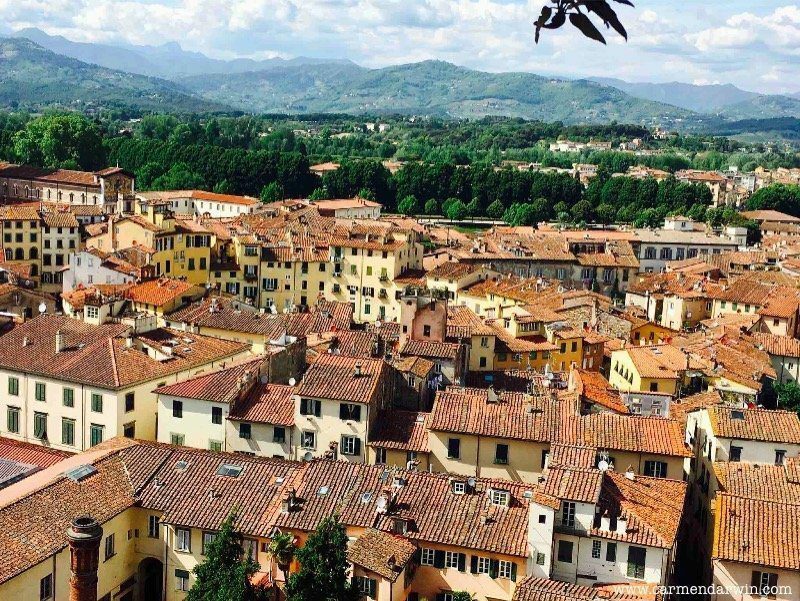 Lucca is pure joy and we loved our special days here. 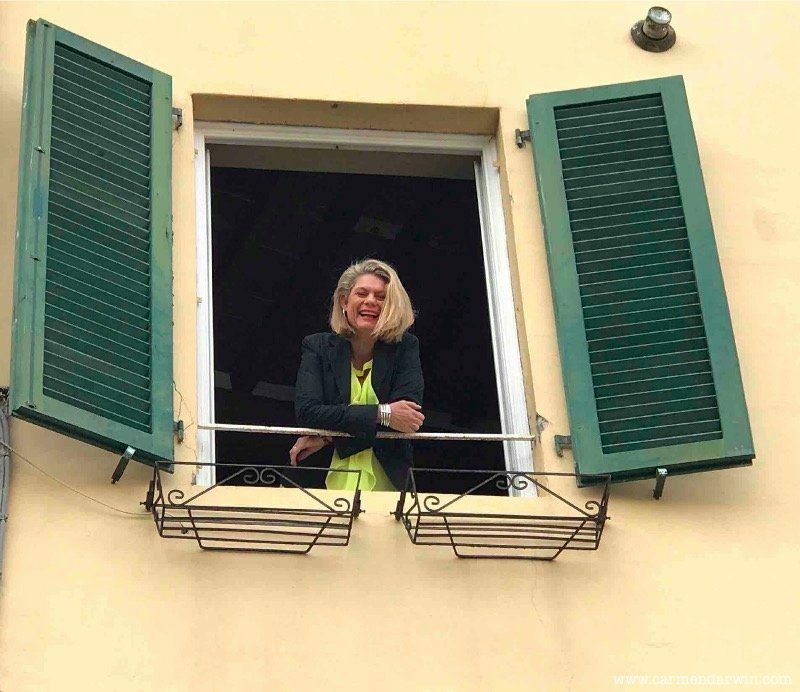 If you would like a chance to take your own tour to Italy with some super fun women like you, then register your interest here and I’ll keep you in the loop. Click the image here.